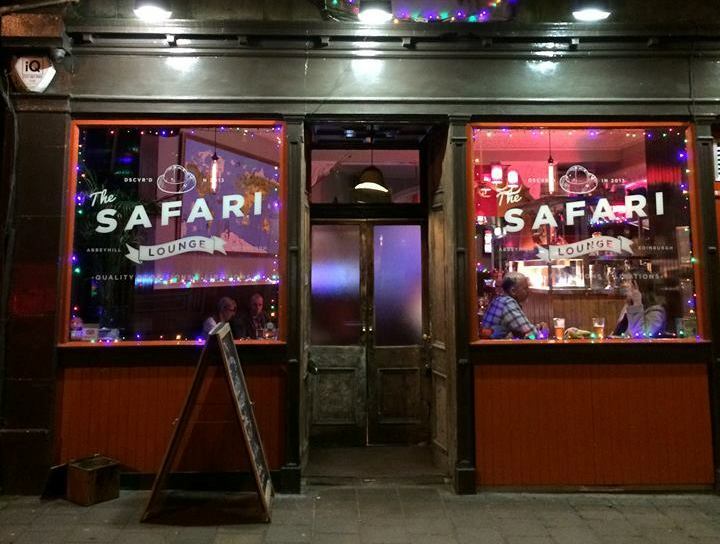 The Safari Lounge brings the glamour of Africa to the wilds of Abbeyhill. It used to be called the Station Bar years ago, for reference. Dr Paul Quiz is at the Safari Lounge is on Monday night and starts at 9pm. Finishes by 11pm. From Elm Row/Top of Leith Walk, head along London Road, go past Easter Road and the Safari Lounge is an orange presence, a bit further along, on your right, next to a bridge that crosses the old railway. Technically the address is Cadzow Place but you could live in Edinburgh all your life and not know that. For the people who live on Cadzow Place then maybe it’s Cadzow Place, but for the rest of us it’s jut part of London Road. The Safari Lounge does quality food right up till 9pm so you can get your dinner and then do the quiz. The food always looks great. or you can sign up for Dr Paul Quiz News by entering your email below and hitting submit. Vikki Toots Mclennan liked this on Facebook. Fiona Sutherland liked this on Facebook. Heather Tait liked this on Facebook. David Lawrence-Watt liked this on Facebook. Heather Morrison-King liked this on Facebook. Phil James liked this on Facebook. Gemma Frame Haldane liked this on Facebook. Andy Laird liked this on Facebook. Micheál Ferrie liked this on Facebook. Nici Moonbeam Buchan liked this on Facebook. Ollie Kay liked this on Facebook.